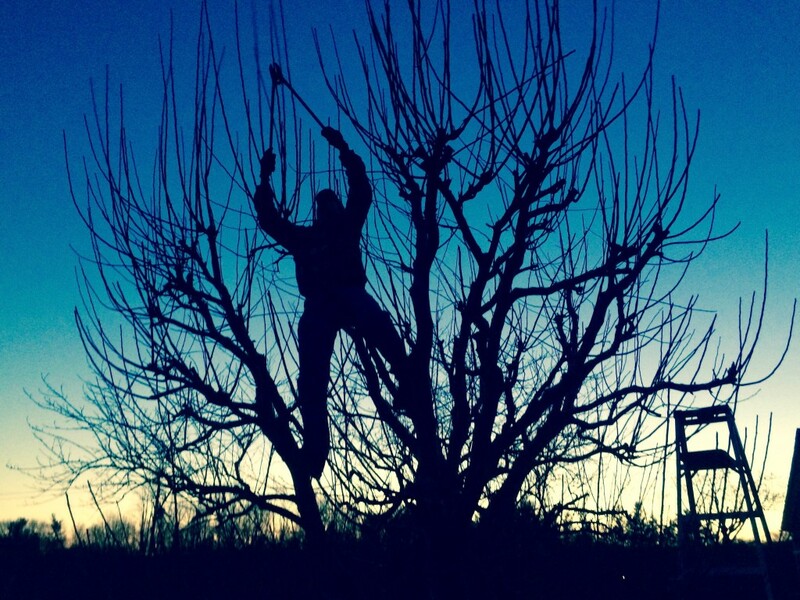 This past weekend my family spent one day in a cousin’s orchard pruning her 50 year old apple trees. She has 50 and in one full day we only completed 4 trees. My husband mostly clipped. I mostly carted away the branches. By the end of the day my back ached and he could barely flex his hand. Only 46 more to go…. Over the last 10 years we’ve been helping at the orchard a lot. Before these experiences I had no idea what went into growing apples. Likely I probably thought that it’s a bit of work at harvest time. Now I know it’s a ton of work all year round. With the spraying, mowing, picking, sorting, shining, selling, grafting and pruning maybe there’s only 2 months of the year when the orchard doesn’t need that much attention. So much for my old notion of a busy month or two in the Fall. The just harvest time mentality seems a little akin to the way we think about new, big projects starting at our association. Once this new website is launched things will get back to normal. Once we have this new product ready for members it is back to business as usual. Once the new AMS is implemented we can relax a bit. History will tell us that this is about right. We hum along in a fairly busy, fast-paced sort of way most days. This is punctuated by a new project every once in a while which upsets the apple cart and throws us in to near-frantic mode for months. When the project is complete we head back to our normal. Our industry, however, is in the process of veering sharply away from history. My best guess is the new normal for associations is: there now is no more normal. We hear over and over again about the speed of technology changing. What we don’t talk a lot about is it’s not just the speed it is also the pervasiveness of these changes. Nearly every professional I speak with is in an industry that has recently been upended by changes in technology. It is not just one thing changing it’s everything changing. The only way to survive and sometimes thrive is to change to. Not change once in a while but change constantly, relentlessly. Change in associations won’t be episodic like it once was. Change will now start to be perpetual. We are no longer thinking about strategic plans where we convene project teams with the project as everyone’s side gig. We will now be moving toward strategies that build in rapid and constant change. How can we build the discipline of constant change into our structure, mindset and culture?